Rapper 40 Glocc is gunning for $4.5 MILLION … and his target is The Game. 40 Glocc sued Game over a street fight between the two rappers, which went down in July outside a Hollywood Hills mansion. 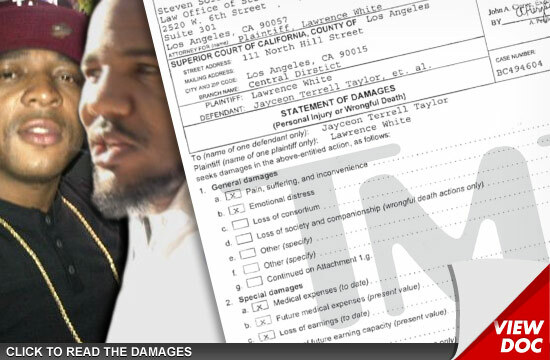 Game subsequently posted footage of the brawl on YouTube, showing him whaling on Glocc. At the time Glocc filed the suit, he didn’t specify how much he wanted, but now we know. Glocc just filed legal docs demanding a cool $4.54 million.